Kamala is a bubbly yet highly professional Beauty and Spa Therapist with advanced training and 8 years experience within the Industry. Kamala's experience includes working for the UK's most prestige 5* Spa's including; Pennyhill Park (Exclusive Hotels Collection) and Coworth Park (The Dorchester Collection). Kamala has always had a passion for travelling and has dreamed of living abroad in the sunshine. 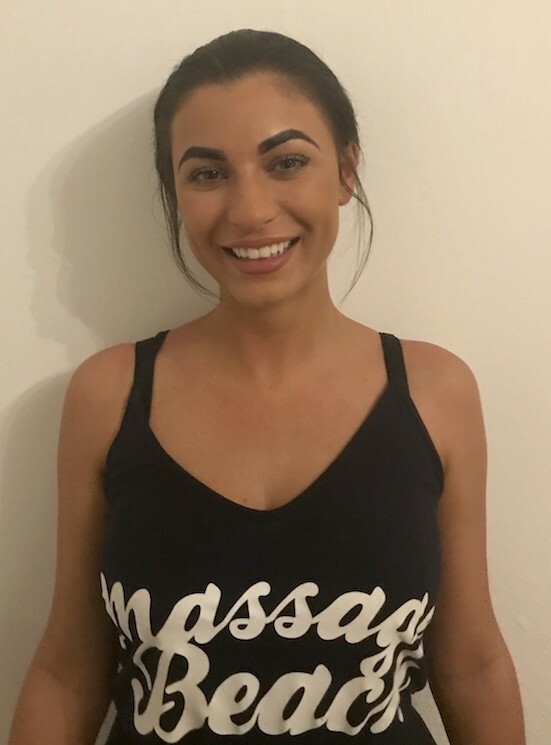 Joining The Massage Beach Team has allowed her to achieve this dream, whilst doing the job she loves! 27 Oct 2018 5.00 out of 5 . 23 Oct 2018 5.00 out of 5 As said in other review was the best I�ve had in both facial and head massage. Felt great and very relaxed after for the full day. 23 Oct 2018 5.00 out of 5 Made you feel very relaxed. Was very friendly and professional if we hadn�t already booked a car for the Sunday I would have went back for more treatments. 13 Oct 2018 5.00 out of 5 Focused on exactly the areas I needed and I could feel the skill in her work. Very impressed and very much recommended. 09 Oct 2018 5.00 out of 5 Really lovely woman who was extremely accomodating and helpful. Made me feel at ease. I would definitely recommend. 21 Sep 2018 5.00 out of 5 She was amazing!!!! 12 Aug 2018 2.20 out of 5 She finished the massage 7 minutes early on a 30 minute session! I had to ask her to carry on. Not good service. 07 Jul 2018 5.00 out of 5 I had an awesome massage. Kamala is perfectly in her Job and i realy like her. If i could i would book her every day. 05 Jul 2018 4.80 out of 5 Sitting by the pool I smudged my toe nail Kamala fixed it no problem. My daughter had her first neck and back massage loved it.